Welcome to Earth. If you haven’t been in this planet then a visit is very amazing and humans in it are very nice people who live in it. 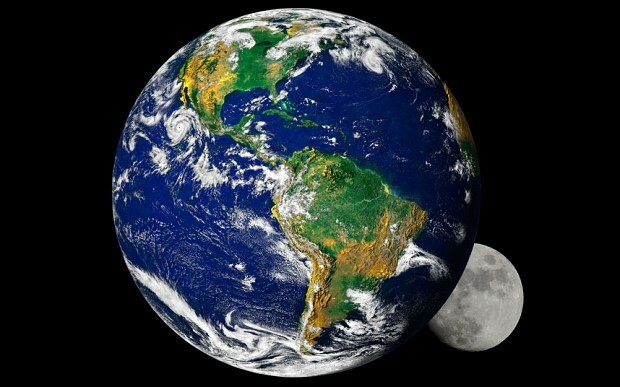 Earth is the third planet from the Sun, and the densest and fifth-largest of the eight planets in the Solar System. Earth is the only planet whose English name does not derive from Greek/Roman mythology. The name derives from Old English and Germanic. There are, of course, hundreds of other names for the planet in other languages. In Roman Mythology, the goddess of the Earth was Tellus – the fertile soil (Greek: Gaia, terra mater – Mother Earth). The planet is home to millions of species, including humans. Both the mineral resources of the planet and the products of the biosphere contribute resources that are used to support a global human population. Human cultures have developed many views of the planet, including its personification as a planetary deity, its shape as flat, its position as the center of the universe, and in the modern Gaia Principle, as a single, self-regulating organism in its own right. Near the surface, an ocean of air that consists of 78 percent nitrogen, 21 percent oxygen, and 1 percent other ingredients envelops us. This atmosphere affects Earth’s long-term climate and short-term local weather; shields us from nearly all harmful radiation coming from the sun; and protects us from meteors as well. Satellites have revealed that the upper atmosphere actually swells by day and contracts by night due to solar activity. The earliest material found in the Solar System is dated to 4.5672±0.0006 bya;therefore, it is inferred that the Earth must have been formed by accretion around this time. By 4.54±0.04 bya the primordial Earth had formed. 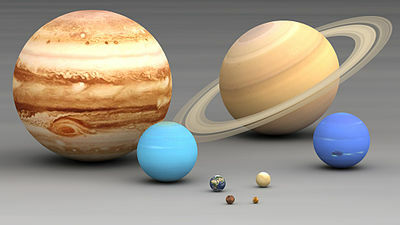 The formation and evolution of the Solar System bodies occurred in tandem with the Sun. In theory a solar nebula partitions a volume out of a molecular cloud by gravitational collapse, which begins to spin and flatten into a circumstellar disk, and then the planets grow out of that in tandem with the star. The Earth’s magnetic field and its interaction with the solar wind also produce the Van Allen radiation belts, a pair of doughnut shaped rings of ionized gas (or plasma) trapped in orbit around the Earth. The outer belt stretches from 19,000 km in altitude to 41,000 km; the inner belt lies between 13,000 km and 7,600 km in altitude. Copyright © 2011 - 2017 Theodore Abi Mansour. All rights reserved.